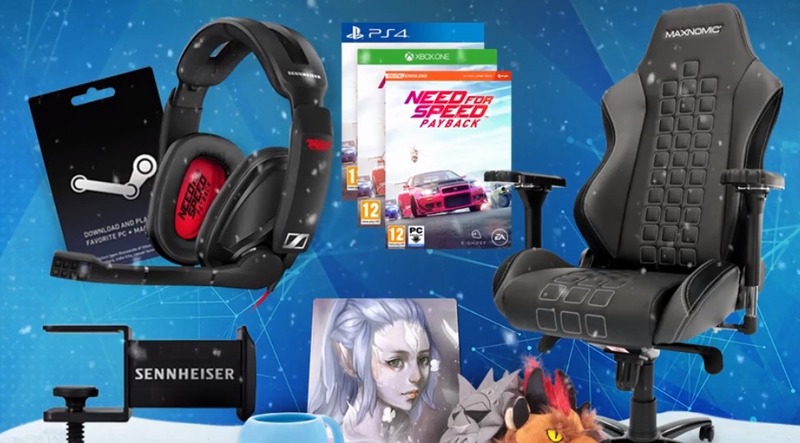 Sennheiser has teamed up with NeedForSeat, NeedForSpeed and Guild Wars to gift one of their fans with amazing gaming bundle! To enter in this SoundsLikeXmas Gaming Giveaway grab your free entries by following few simple steps listed down below! GSP 303 Need for Speed Payback Edition is the ultimate upgrade for those seeking to stay immersed in the race. Developed together with Ghost Games, this limited edition gaming headset is the perfect complement to the sound of your favorite engine or soundtrack. Thanks to its XL memory foam ear pads and aviation-inspired split headband, the new GSP 303 allows you to enjoy your ride in high comfort. The Sennheiser GSP 303 Need for Speed Payback Edition created in collaboration with Ghost Games delivers a mesmerizing gaming experience thanks to its best-in-class acoustic isolation that lets you stay immersed in the game/race.Sennheiser is the only audio company that makes both the precision microphone equipment companies such as Ghost Games record your games on, and the headsets you use to play them. So why would you go for any other gaming headset brand? The one (1) winner will be randomly selected via Gleam.io and contacted on Monday, December 11th.